The explosive growth of interest in cryptocurrencies has throughly challenged its infrastructure and occasionally made it burst at the seams. With major exchanges like Binance, Bitfinex, and Bittrex temporarily halting new user registration; with Cryptopia suffering trade engine overload and exchanges like Kraken working at a snail's pace we have a problem is in plain sight: current cryptocurrency exchanges have scalability issues. The current market cool-down has eased the pressure on the exchanges, but if the market goes bull again, expect the exchanges to struggle once more. The problems won't stop here, however. If one takes a peek at the Blockchain Graveyard we see a concerning number of breaches, thefts and hacks. Whereas bitcoin as a system has proven to be hack-proof, an estimated one out of sixteen Bitcoins has been subject to theft, mainly due to unsafe storage which includes holding your assets on an exchange. For malicious actors, a centralized cryptocurrency exchange is a large vulnerable centre waiting to be compromised. Thirdly, the current infrastructure still relies on intermediaries—the exchanges—for transactions between cryptocurrencies. This burdens cryptocurrency users with having to trust their chosen exchange with holding their assets, kind of like using a bank, but less secure. When scam exchanges like Bitconnect, (with a peak market cap of $2.7 billion) shut down without notice and leave their investors with empty pockets, how can the client be certain, in case of a maintenance shutdown, like Kraken had in January, that the exchange will actually resume trading with their assets intact. They can't. The present cryptocurrency infrastructure has a problem of trust. 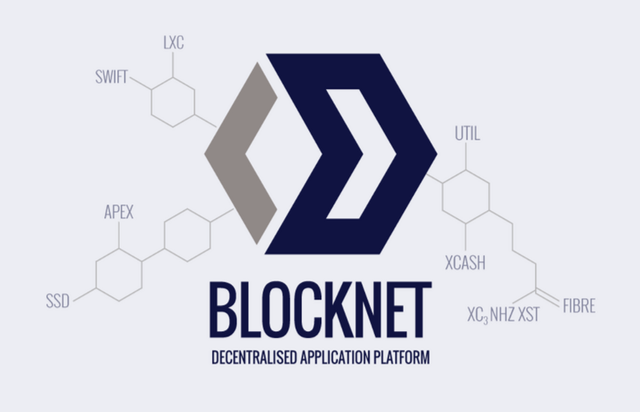 Blocknet is a peer to peer protocol built to enable nodes on different blockchains to connect and form a "token ecosystem". 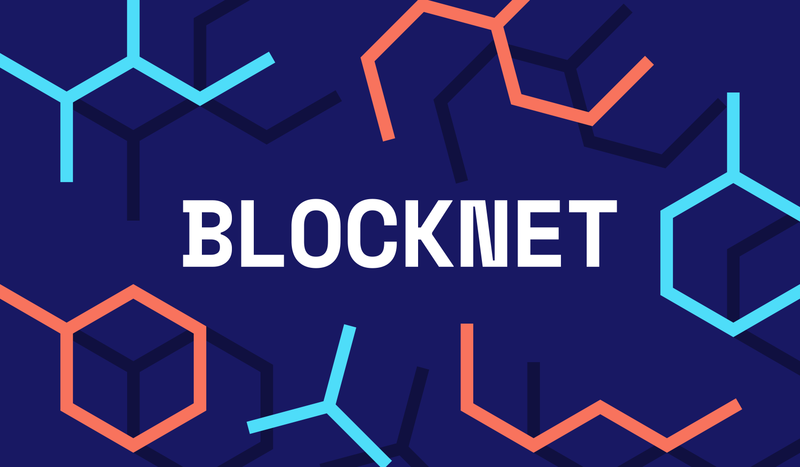 By using the Blocknet as a bridge it is possible to transact between a wide range of blockchains, provided that they meet some criteria. One can think of Blocknet as a router for blockchains that can forward data between them. Blocknet is designed as infrastructure to the emerging token ecosystem sometimes named "altcoins" that has seen an impressive amount of innovation in the last few years. As discussed, the cryptocurrency infrastructure is currently reliant on centralized exchanges that carry a wide range of unwanted problems with them. 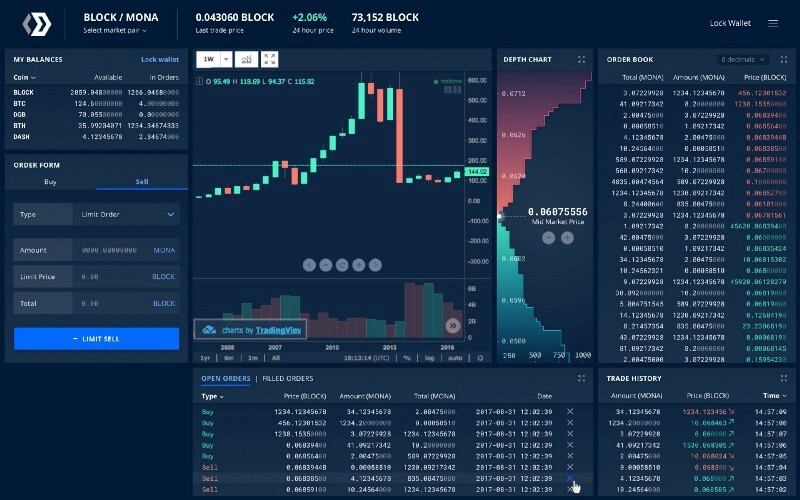 Blocknet offers a promising solution to some of these issues by creating a "decentralized exchange on the Blocknet platform, that enables the exchange of cryptocurrencies without any intermediaries, from wallet to wallet directly. This new way of transaction, utilising atomic swaps can remove the high fees charged by centralized exchanges from the equation, and solve the issue of having a trusted third-party between each transaction. By using a "decentralized exchange" we could make cryptocurrency trading safer, cheaper, and trustless. In summary, there are pressing problems with the current blockchain infrastructure, and the emergence and large-scale use of decentralized exchanges, as a reaction, is only a matter of time. Blocknet offers a chance to get in on this innovation before it becomes mainstream, and profit handsomely in the process. When you mention decentralized exchange using atomic swaps..the first thing that comes to my mind is BartexDEX by Komodo ($KMD) team. With so many coins already listed on BarterDEX, I don't see any close competition for 2018 (atleast). Oh, and they have bagged the ETH/ERC20 <=> DOGE bounty claim too. I looked at kmd last year but haven’t kept up. Can you recommend some you tube videos? How much volume do they have? As there are multiple centralized exchanges, there will probably be a number of decentralized exchanges, competing for users. BartexDEX is an exchange we plan to cover in the future. Did you investigate block vs aion, cosmos and polka dot? I think this is a fascinating, if crowded space. One of the ideas I had was to do separate articles on the major decentralized exchanges and then follow up with a big comparison article. Can't promise any deadlines yet though. Followed you by the way. Cool content! Hi! Very informative article, especially for people who are not expert! Useful, i upvoted! have nice day! Thanks! Checked out your content and followed you. Thank you for following me! I ll upvote frequently your interesting posts! Have a nice day!